I have used Dr. Jose Gregorio Hernandez Oil for healing purposes, and it worked really well. And I know he's like a patron saint for med students. Do you think I can pray for assistance for him in getting into med school? Any thoughts or experiences with having worked with this oil would be helpful. Oh- I am also working on a crown of success too. I think that its completely appropriate to petition Dr. Hernandez for entry into med school. Combine that with Crown of Success and King Solomon Wisdom formulas and you are set to go! You can burn vigil lights as you do the application, start a honey jar so that the people who will look over your materials are sweetened up towards you and attracted to you as a candidate, and if possible, avoid doing an online application so that you can actually send in the application papers dressed with a combo of all three sachet powders--although for the application papers themselves I might switch out the King Solomon for Attraction sachet powder since you want them to want you, and if you need money then you might want to think about adding some money drawing formula to different components of the work you are doing. Thanks, Bri. Terrific ideas! I have all of the formulas you mentioned, so I am definitely going to follow your suggestions. Thanks again! I'll be on this forum for a while, I'm sure. So I'll definitely keep you posted on the outcome. And yes, do let us know how the work goes for you! I'd just briefly like to interject the idea that while you wrote that you used Dr. Jose Gregorio Hernandez Oil, we also hear people rather casually say in our shop that they "used Dr. Hernandez," or "used Saint Michael" for this or that purpose. This always grates on my ears, because i was raised to believe that it is highly immoral to "use" people, whether they are alive or dead. Would you befriend a man who told you how he "used" his girlfriend or a woman who boasted about how she "used" her children? Dr. Jose Gregorio Hernandez is one of the kindest and most saintly spirits i know, and i would like to save him from the careless "users" who think they can buy a statue or a holy card and thus own his being. Instead of "using" the spirits of the blessed dead, i encourage folks to reframe their approach, to try "venerating" or "petitioning" or "working with" them instead. After you enagage their attention, ask their aid; work for them, work with them, and they in turn will work for and with you. Your practice will gain greatly in spiritual depth -- and the spirits will be kinder and more generous to you as well. catherineyronwode wrote: I'd just briefly like to interject the idea that it is highly immoral to "use" people, whether they are alive or dead. I completely agree with this, thank you for mentioning it and for reminding us to be respectful to the spirits that we petition in both word and deed. Oh, of course. This is purely semantics. I prayed for his assistance with major surgery and my grandmother pulled through, so I certainly did not mean that I used him. I just wasn't sure if people ask for his help for non-healing purposes. Thanks for the clarification though. To answer your original question, yes, Dr. Jose Gregorio Hernandez was the first doctor in Venezuela to own a microscope; his special fields were bacteriology and diagnostics. He was a founder of and teacher at the first medical school in Venezuela. He definitely helps medical students. I petitioned him daily the entire time my daughter was in medical school. As for the matter of semantics, well, that becomes very deep very quickly. I am one of those who believe that human thought is impossible without human language and furthermore i believe that to change our language will in time change our thoughts and our quality of mind. So semantics is more important to me than merely as a system of marking words; it is the unspoken embedment of my thinking processes. In short, i believe that word usage will in time inform or deform the speaker's mind. As we read in the book of James, "Even so the tongue is a little member, and boasteth great things. Behold, how great a matter a little fire kindleth!" This idea produced one of the great gospel songs of the 20th century, "You'd Better Mind," by Mrs. Reed and Mrs. Duncans. You better mind what you're talking about. You better mind what you're talkin about. You can buy it at itunes for 99 cents. It is an amazing sermonette on the role of speech in the formation of thought and deed. Firstly, I'd like to say that your site and your store are a wonderful resource for newbies to hoodoo, such as myself. And, I am quite appreciative of the extensive knowledge you have been able to impart on the matter. However, my apologies, but I disagree with you on one thing. Yes, I agree that human language and thought are interconnected. However, I do believe that when speaking about spirit guides and saints that semantics and human perception, and what others misconstrue is not misconstrued by the saints and spirit guides. My words come from my heart, and while humans may misperceive them, the spirits do not. And, it is my belief, that they pick up the unspoken embedment that maybe the mere mortals just don't. thank you for posting about semantics. i do belive it is important o train one's thoughts that way. the mind has to be programmed to truely see things clearly. think of it as just another part of your learning process. if all spirits knew what we meant there would most likely be less negatve beasties hanging about. catherineyronwode wrote: I'd just briefly like to interject the idea that while you wrote that you used Dr. Hernndez Oil, we also hear people rather casually say in our shop that they "used Dr. Hernandez," or "used Saint Michael" for this or that purpose. This always grates on my ears, because i was raised to believe that it is highly immoral to "use" people, whether they are alive or dead. Would you befriend a man who told you how he "used" his girlfriend or a woman who boasted about how she "used" her children? Instead of "using" the spirits of the blessed dead, reframe your approach. Try "venerating" them instead. After you enagage their attention, ask their aid; work for them, work with them, and they in turn will work for and with you. Your practice will gain greatly in spiritual depth -- and the spirits will be kinder and more generous to you as well. So, one venerates Dr. Hernandez Oil? How would you say it in the case of the actual oil? One would venerate Dr. Hernandez, and in doing so, items may be attuned to his works utilizing his oil. It is not correct to "use" him any more than it is correct to "use" any other person, spirit, or being. It is a question of speaking correctly in order to show them the respect they deserve. 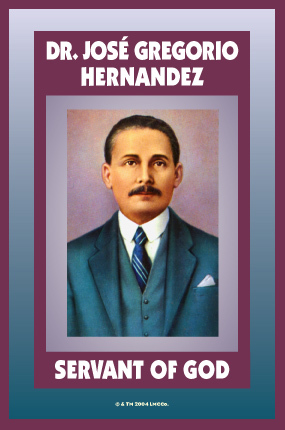 J Simulcik wrote: One would venerate Dr. Hernandez, and in doing so, items may be attuned to his works utilizing his oil. It is not correct to "use" him any more than it is correct to "use" any other person, spirit, or being. It is a question of speaking correctly in order to show them the respect they deserve. So how would you phrase "I used Dr. Hernandez Oil" correctly? I often say I am "working with" Dr. Hernandez (oil, sachet powder, incense). Or you can say you are petitioning the spirit of Dr. Hernandez through working with his oil or other products made and dedicated to him. catherineyronwode wrote: Instead of "using" the spirits of the blessed dead, reframe your approach. Try "venerating" them instead. After you enagage their attention, ask their aid; work for them, work with them, and they in turn will work for and with you. Your practice will gain greatly in spiritual depth -- and the spirits will be kinder and more generous to you as well. I totally agree with cat about this. It hurts me when someone states they "used" St. Anthony, or St. Joseph, or the spirt of dead soldier. It is very disrespectful and cruel in my eyes. Why would these spirits be kind to you, if you are disrespectful to them? It is a matter of respect. I do not know about Dr. Hernandez, because I have never worked with him, but I do work with many saints. I have always worked with St. Raphael, or St. Luke when it comes to healing, or medical work. Whenever I work with a saint, I do something to honor that saint. I give to the poor for St. Anthony and light a candle to him. I light a candle in St. Raphael's church and give a donation in his honor. I do this for each saint I work with. I remember what mattered to them in life and honor their devotion. That's how they became saints in the first place! Also I do not pray to saints, or spirits. I pray to God. I "petition" the saints and spirits, which means I ask them to intercede for me if it is within God's plan. That is a distinction that gets overlooked and I am forever hearing "I prayed to St. Anthony and my wallet was returned." No, you "petitioned" St. Anthony to ask God to help you and he was able to. I agree with cat about how important our language is when we work with saints and spirits. They are human and deserve just as much respect as anyone you would meet in the flesh. I have used Dr. Gregorio Hernandez Oil for healing purposes, and it worked really well. And I know he's like a patron saint for med students. Do you think I can pray for assistance for him in getting into med school? Any thoughts or experiences with having worked with this oil would be helpful. Oh- I am also working on a crown of success too. Why not give an offering in Dr. Hernandez's name to what he loved? Why not send a donation to a medical school in Venezuala, or his charity. All the saints generally have charities who need donations. I was always taught to honor a saint by helping what they were devoted to in life. Bri wrote: I often say I am "working with" Dr. Hernandez (oil, sachet powder, incense). I really like using the words "working with" depending on the situation and the saint or spirit-being being petitioned. I believe these individuals like the idea that you are working with them to improve your situation and not just sitting back and asking them to do all the work. For instance with Dr. Hernandez (while I have no experience with him), I get the impression that he would like you to work with him to improve your health and not just sit back and expect him to cure, say your Type II Diabetes if you don't improve your diet, test your blood sugar and keep up your regular doctor visits. While certain situations and spells require the "lay your trick and don't look back" confidence and faith in God and those ministering spirits you are petitioning, the "working with" attitude is one that suits a lot of work too. It's knowing which sort of work is which that reveals your understanding of how such work unfolds. "If we wish to be able to cast spells with our words, we must realize that every word we speak is a potential spell and that we must treat each of these words accordingly . . . The secret to using words in this way is in first learning to use words sparsely, correctly, and always in a proper context." I'm from Venezuela, and much has been said about Dr Hernández good and bad. He is an informal saint, beyond all the miracles he has performed the Catholic church refuses to recognize him as one due to the associations of his figure with witchcraft and non catholic cult. He healed the sick free of charge while he was alive, why not bless someone free of charge too? If you wish to please him, donate to the poor, visit the sick, make a donation to a homeless shelter or any other refuge. And if you feel like making a donation to a medical school in Venezuela as Literarylioness suggested, don't send money, send equipment. Unless you wish to see your money spent on horse racing and booze. Where to Donate to Say Thanks to Dr. Jose Gregorio Hernadez? I had a horrid case of tracheitis (infected/inflamed trachea with bad barking cough) for most of last month, and even after a course of antibiotics and codeine cough syrup the cough just wouldn't go away. Finally, a couple nights ago, I was lying in bed and thoroughly annoyed with feeling like crap all the time. And then a thought came to me of Dr. Jose Gregario Hernandez, and of seeing his name on Lucky Mojo's website before. I began to pray and ask him to intercede to God for me, to take away the chest pain and pressure/nagging cough and heal me physically. Physician, your patient is lying here waiting for you, I thought. When I woke up the next morning, all that constant chest ache was gone and I haven't felt the need to take cough syrup. I've still had a little bit of a cough but only if I do a realllllly deep breath and hold it to force it out. I'm sure that will eventually go away. I'd promised the Doctor that I'd make a donation for him if he helped me feel better; didn't he found a hospital or something? Does anyone have a good idea as to where I can make a small monetary donation? Re: Where to Donate to Say Thanks to Dr. Jose Gregorio Hernadez? 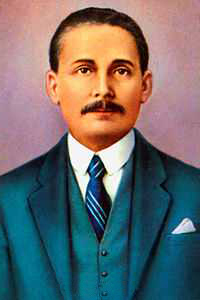 Jose Gregorio Hernández was a Venezuelan doctor that helped the poor and the sick for free while he was alive and even paid for the patients medicines when they could not afford it. He was died run over by a car, oddly enough there were only 2 cars in existence in the city of Caracas when this happened. You can look him up in Wikipedia if you like, i would post the link but I'm not sure if it's allowed. If you wish to make a donation in his name you can give your time or money to a health care institution for the poor. If you feel like making a direct donation to an institution related to Jose Gregorio Hernandez in his country of origin i recommend donating equipment or supplies, money is not a good idea, since more than likely it wont be used in the benefit of the poor. Third world countries and corruption in public institutions go hand in hand, I'm from Venezuela so i know what I'm talking about hehe. Donate as you feel, but the Saint cares mostly for you to give to those in need, specially when it comes to their health and for you to spread his name as a saint. Why not donate some cough syrup for a homeless shelter? its a good cause related to your need and his interests. Thank you Dr. Jose Gregorio Hernandez for helping me combat flu season while also helping me recover from foot surgery over the past 6 weeks. After catching two different types of cold viruses over the past 2 weeks, I'm happy I had the oil and incense to use and put my faith in, in addition to all the other remedies I normally use. Even though I had a fever, it only lasted a good 24 hours. =) A huge thank you to LM for carrying these wonderful products!! In big part due to the info provided by LM and by some knowledgable LM Forum members, I've been petitioning Blessed Dr. Jose Gregorio Hernandez for my husband's healing. Since then, I've had a very vivid dream of an herbal remedy to help him with - and I thank the good Doctor for that. We've also found a new family doctor that was willing to push his case with the surgeon to try and get him in sooner rather than later, AND that is supportive of his use of Traditional Chinese Medicine and Naturopathic care! I thank Dr. Hernandez for leading us there as well. His TCM doctor has also now decided to move him into treatment for a gallstone flush (whereas before she was just symptom managing) which MIGHT allow him to actually have a choice between having the surgery or not! So I thank Dr. Hernandez for that as well. I am now crafting a shrine to him that will be kept in our home here - as I know I will be going to him for intercession in any future healing needs. Plus, as I am an energetic healer, I can use his support in my ongoing work anyway! Thanks LM for your Dr. Jose Gregorio Hernandez info and products! He really is a wonderful resource! I'm so glad that I got introduced to him, and have since ordered his oil through Lucky Mojo. I actually have a candle burning to him as we speak! Ok...I am totally freaked out by this. I bought a Jose Gregorio Hernandez figurine and well I had it sleeping beside me. I twice have found it with its back turn towards me, but I chalked it up to nothing. Ok so now I have it sitting on my dresser/altar and I also have a pic of him as well. I just took a shower and came back out and found the figurine with its back turn towards me. No one is here except me, no one could have done this! I feel a bit scared by this. Can someone tell me if I am doing something wrong or is there something I should be doing? Before you get into total freak-out mode, here is my suggestion, and I hope it helps you. I would take the statue and cleanse it with some spirtually cleansing preparation, such as Florida water or diluted Chinese wash. Whatever you use to clean your altar tools should be fine. I would then recite whatever Psalms you like to use for protection and say a small prayer to the Good Doctor for his aid in your life. I have no way of telling you what may be causing this, but I know in my house, we have some mischevious (mostly) unseen houseguests who like to move things around for jollies. The day before Thanksgiving, I spent an hour looking for my huge granny-ware roasting pan. I finally gave up and decided I'd gotten rid of it in some fit of early onset dementia...I mean, I tore my house up trying to find the thing! A few days ago, I open up the bottom of the china cabinet to get out a cake pan and VIOLA! there it is...hope that doesn't freak you out worse, but maybe you don't live quite as solitary a life as you thought. P.S. If you are really concerned, you may want to get in touch with HailDiscordia -- he does a great deal of work with this Saint and may have another take on this situation. I agree with Michelle. Do a quick cleansing with a cleansing material like Florida Wash, you may also set up a small offering for the saint. When working saints or spirits, its about establishing a relationship with them, building a work relationship if you will. Set up a small altar for him, give him an offering of water, flowers etc and spend a few days speaking to him. Thank you both. I will try out your suggestions and see what happens. I know you have worked with Dr. Hernandez, do you think I can petition him for emotional healing? or rather physical? I appreciate the good work you did for my friend. Although the outcome was not what I hoped, I did see results of your efforts, and I think he did not suffer, and that means a lot. I am sure it is better that he did not linger in an incapacitated state, and I am grateful for the work done on his behalf, although he will be much missed. I've had Dr. Hernandez on my justice and healing altar for ... I don't even know how long. Years. Since the health care reform brouhaha, my nightly prayer has been: "Open the hearts of the insurance companies, the Senate, Congress, the president and his advisers; inspire them with the compassion that led you to buy medicine for the poor out of your own pocket. Let them know what that feels like, that it is right, and let them be itching, eager, in a hurry to act on it." And now look!! Time.com has an article with the headline "Once Opponents, Insurers Back Effort to Make Health Reform Succeed"
Thank you, Don Jose Gregorio! misterkurtis, what i actually wrote was "while you [brujaha] wrote that you used Dr. Jose Gregorio Hernandez Oil, we also hear people rather casually say in our shop that they 'used Dr. Hernandez.'" You then asked, how one "venerates Dr. Hernandez Oil." I was not commenting about people venerating an oil because i was not commenting about people who say "i used Dr. Hernandez oil." I was commenting about people who say, "I used Dr. Hernandez." I totally agree with Mary. Its interesting because a friend of mine got a St. Jude's hospital donation letter in the mail. Neither of us petitioned him for help but she gave to him anyways just for the sake of giving, and to let her know that she appreciates that he is reaching out to her, and will work with him in the future. So a person should always want to give something back to the saint, but realize you do not have to work with them in order to give something if that makes sense. Literarylioness wrote: Why not give an offering in Dr. Hernandez's name to what he loved? Why not send a donation to a medical school in Venezuala, or his charity. All the saints generally have charities who need donations. I was always taught to honor a saint by helping what they were devoted to in life. Another way of respectfully stating your desire to obtain the aid of a particular saint is to say, "I'm taking this to (Saint's name)." For example, I may say to my client in search of a new job, "Let's take this to Saint Expedite." I'm pretty sure that's my totally colloquial WV way of stating things, but it seems to me to express what a petition truly is -- a request that may or may not be granted. Saints are not ours to use, command or demand of -- instead, seek their aid, ask their help, pray that they favor your works. Devi I wish your husband a successful & speedy recovery from his illness/surgery ... may the green healing energy of Archangel Raphael (in addition to Dr. Hernandez and Archangel Michaels' healing energy) work with and through him, and may he regain his health 10-fold! MissMichaele you are truley a Saint!! Freegirl sorry to hear about your loss (RIP). Thank you Dr. Jose Hernandez for the aid of my best friend's brother from the bottom of my heart. Please continue to help him through this difficult time. I cannot thank you enough, and will definitely be making a donation to a hospital for your continual assistance. Thank you Dr. Hernandez in aiding in the healing of my sister and brother. I fear I may have what could potentially be yet another chronic health problem...actually I'm pretty certain I do have it, I just have to wait a few weeks to get into the base medical center for blood work to confirm it. However in the meantime I've done my homework online about what foods to eat, what to avoid, what suppliments can help and what ones can hurt. I'm moving forward in the natural area to start reversing or halting the damage already done. I'd like to petition Dr. Hernandez as well for his help, but I know very little about this Saint....what correspondences are best, etc. What does he like for food, if applicable? Colors? Any tips from those would already standing relationships with him? I'm hoping for his help in keeping this problem something I can keep under control with diet and supplimentation, but whatever help the good Doctor can give will be most appreciated. I don't do anything special - just offer flowers and a vigil light when he comes through. I generally work with either white or blue for him, and use Healing oil along with the Dr. Hernandez oil. I use the prayer on the page above. Thank you Devi...have healing oil here, right now. Will order some of his oil when I get paid.....need to get some of his and a few of the other saints as well. I swear, I'm going to need an entire room for my LM stash! I'm assuming a petition under the candle as well? Any herbs that might help with healing or the petition? My mom real ill and I wanted yo know how can I work Dr Jose candle or if anyone else has a better healing spell she goes for her results in 2 weeks? Just pray your petition over a dressed Healing &/or Dr. Jose Gregorio Hernandez candle, and let him work. I pray each day over the candle. Dr. Henandez is very good at blessing current caregivers with wisdom to aid the case, as well as leading you to the appropriate doctors and treatments that can make the difference. He can do healing miracles himself, but I find he tends to work through the health care system most often. You can look up patron saints here. Dr. Hernandez is great for any thing medical. I can certainly attest to that as my best friend's brother survived after an aneurysm burst in his brain. He should not have survived, but thanks to Dr. Hernandez he did. So he can definitely help. And St. Jude is known for hopeless cases which I worked with him as well for the previously explained situation at the same time. So you can definitely do that. As long as you give each saint care and attention you will be fine. As for each saint being near each other...yes some of them can be near each other, and can share the same space. The only one I can think of is holy death, which I know likes her own space. Of course Jesus was a miracle-worker so don't forget you can certainly ask for his aid directly, and the Blessed Mother is known for healing miracles. Jw...guess Saint Jude wasn't the best idea....I was thinking more of the connection most people have of him with healing due to St. Jude's hospital. Mary might be a good idea as I believe I have hypothyroidism, which is associated mostly with women, and often activated during menopause or perimenopause (the stage I'm in right now). Still brain-storming out loud, as it were, if anyone has any other ideas! I dont think Jw said that Saint Jude wasnt the best idea. However, I would probably not petition him for this case as its not really a hopeless case (in my opinion). I think Dr. Hernandez will be a big help to aid the doctors to adequately help you. Feel free to get a healing candle lit or buy one, along with some healing baths. Keep positive thoughts as you work...good luck to you and blessings Maljen. Thank you, jw.......I will, and as always I back up my spiritual work with mundane work...I like covering all my bases! 1) Do I have to write the patient's name and put it under the candle or a picture? 2) What do I dress the candle with? 1) You may place the patient's name under the candle or tape it to the candle. 2) Every Lucky Mojo Dr. Hernandez candles comes dressed with oil and herbs and has been prayed over in the name of whoever you ask for, then the top has been sealed with cling-wrap and it is shipped to you. You do not need to dress the candle again. Thanks for explaining the difference between petitioning Saint Jude for "hopeless cases" and petitioning Dr. Hernandez to "help your doctors help you." That makes a lot of sense to me. I am a medical student and I was given a small plastic statue of Dr. Hernandez from LM as a gift by a friend who is Catholic. I don't have altars to Saints, but I keep his little statue with my medical books, to kind of watch over them. He seems like he was a good man. edited to include --the respectful obvious-- of a donation. For anyone else who reads, this Saint is a Healing Miracle Saint and does provide wisdom to the Doctors. This is a great thread! I have learned so much. I am just starting to work with saints. I am a big believer in linguistics so I took special interest in considering the language we use in statements such as "I used St. Jude" etc. I am the one who reminds people to watch how they talk to themselves and others and to use comments such as "I am a non smoker" etc...not "I don't want to smoke." IMO, the words we think and the words we speak have a big impact. So as cat reminds us, when we say we "used" someone...living or dead...we cannot help but associate that with, just casually "using" someone for our own purpose. Very selfish! Whereas, a statement like "I worked with..." remind us that it is a partnership and not a selfish gesture. Every time I log in, I am so grateful for this forum. Thanks all for your input!! Thanks Dee. Food for thought!